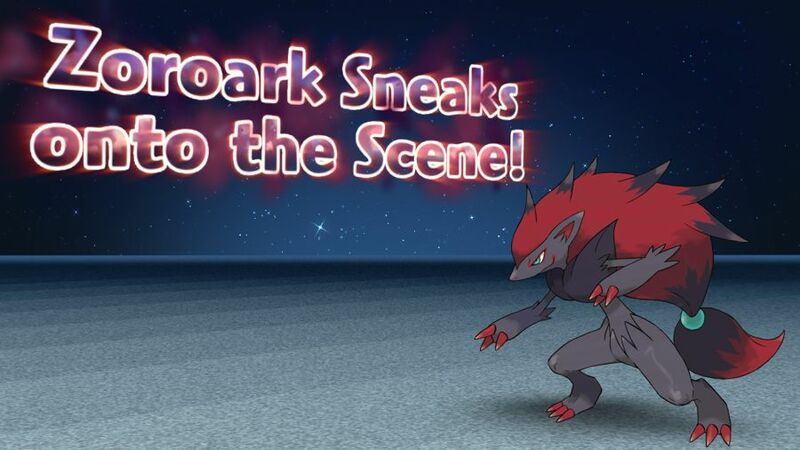 Sludge Bomb Zoroark Event Now Available in the U.S.
Home > Sludge Bomb Zoroark Event Now Available in the U.S. The latest Pokémon distribution event is now live until November 20 for owners of Pokemon Omega Ruby and Alpha Sapphire. U.S. trainers will be able to download Sludge Bomb Zoroark via the Mystery Gift option from the title screen. The Zoroark will be level 50 with the ability Illusion and the moves Sludge Bomb, Dark Pulse, Flamethrower, and Sucker Punch. Sludge Bomb is a powerful competitive move not normally available for Zoroark, so make sure to get yours before November 20. Check out the official trailer below!